Cleaning vents can be a hard and tedious task, along with the knowledge of the bacteria that dust carries and moves. Removing dust, lint and grime is just the first step to cleaning. 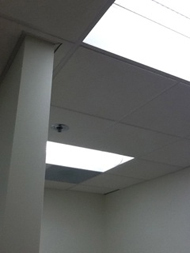 We then sanitize the vents or diffusers, not only to help keep the environment clean, but they will shine like new. 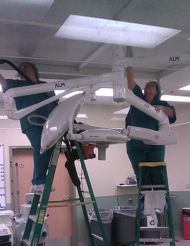 Our team will even change the light bulbs while working with the light diffusers. Minimizing the employees and risk for the facility!